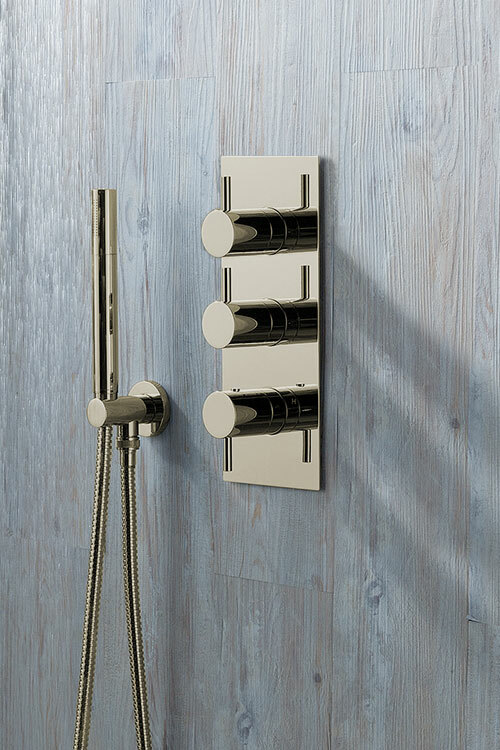 This great quality recessed thermostatic shower valve is in a nickel plated finish. 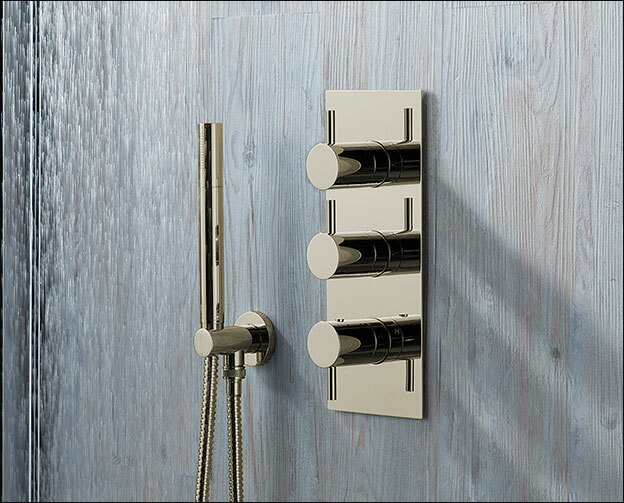 Available in 2 or 3 shower functions this built into the wall valve will cover all shower requirements. 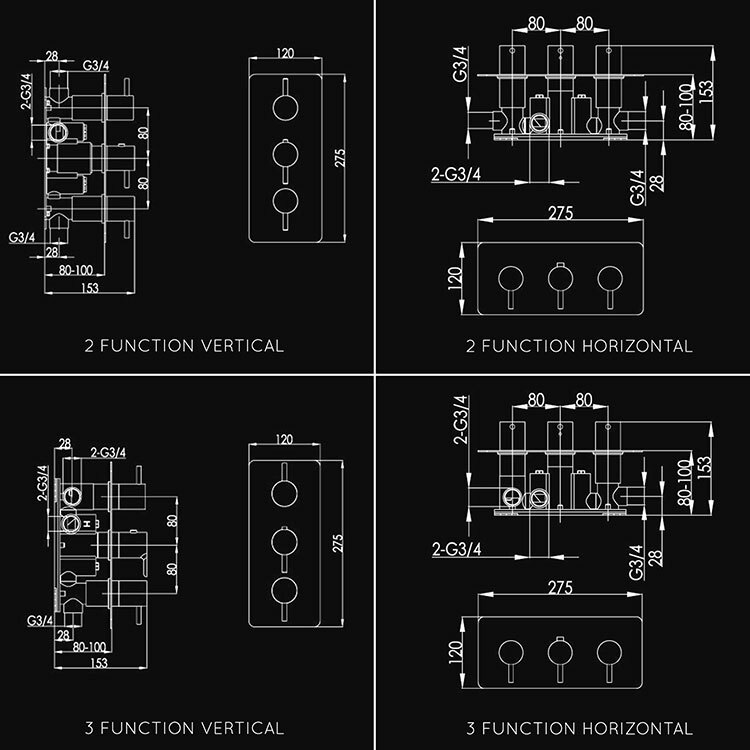 Each nickel shower valve has a control for water pressure, one for thermostatic temperature control with a safety lock and a third control for switching between the different bathroom functions e.g between body jets, slide rail shower head, fixed shower head etc. The single shower valve is a 2 knob control. Each control valve requires only 0.3 bar water pressure and is suitable for high pressure systems. * 2 or 3 function shower valve. * Min 0.3 bar water pressure. * Nickel on solid brass construction. * Gold finish also available. * Nickel valves are special order.